DeMar DeRozan will make his first return to Scotiabank Arena this Friday when the San Antonio Spurs (33-26 SU, 31-27-1 ATS) visit his former employers, the Toronto Raptors (43-16 SU, 26-33 ATS). TV: 7 p.m. 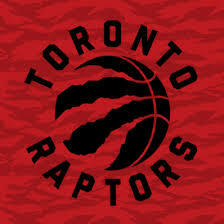 ET, ESPN, TSN 1/3/4 (Toronto) LINE: Raptors -7.5; O/U: 227. When the same two teams met in San Antonio on January 3, DeRozan dropped a triple-double on the Raptors. He had 21 points, 14 rebounds and 11 assists in a 125-107 victory for the Spurs (–3.5). He’ll almost certainly get a warmer reception from the Toronto fans than Kawhi Leonard got in his return to the AT&T Center. After demanding a trade during the offseason, Leonard was shipped north with Danny Green for DeRozan, Jakob Poeltl and a first-round pick. Toronto’s lineup will look much different than it did in San Antonio. Kyle Lowry didn’t play that day. Delon Wright and C.J. Miles went to the Memphis Grizzlies in the Marc Gasol trade. Greg Monroe was sent to the Brooklyn Nets for cash. Finally, Lorenzo Brown was put on waivers. Patrick McCaw has since joined the club; the Raptors have also signed Jeremy Lin for the rest of the year, while Fred VanVleet is out with an injured thumb. DeRozan was a four-time All-Star for the Raptors. He holds the franchise records for games played (675), minutes (22,986) and points (13,296). He is expected to be greeted warmly by the Toronto crowd. The Raptors have done just fine without DeRozan. They sit in second place in the Eastern Conference coming out of the All-Star break. They went into the break hot as fire, with wins in six straight. DeRozan’s Spurs are in a more precarious position and went into the break in seventh place in the West. They have dropped four of the first five on their eight-game Rodeo Road Trip. San Antonio struggled through the Western Conference portion of the trip prior to the break. They fell at Sacramento, Golden State, Portland and Utah before recovering with a 108-107 victory at Memphis on Feb. 12. DeRozan, who missed out on the All-Star game in his first season with the Spurs, is averaging 23.5 points on the trip. All-Star forward LaMarcus Aldridge went into the break strong with three straight double-doubles. San Antonio finishes out the trip with a back-to-back at New York and Brooklyn on Sunday and Monday. They then get to play eight of their next 10 at home. Leonard did make the All-Star Game in his first season with Toronto. He started for the winning Team LeBron. He scored 19 points in as many minutes. The Raptors made a splash ahead of the deadline by bringing former All-Star center Marc Gasol over from the Grizzlies. They are undefeated in three games with him in the lineup. Gasol, 34, is still ironing out his place in the rotation. He came off the bench in each of his first three games, averaging 10 points in 20 minutes. Previous: Could Soccer Ever Be Our New National Sport?